It’s you and me! Alpha Nebraska is a hands-on effort coordinated by a local Alpha team, fueled by prayer partners, delivered by church and volunteer leaders, and funded by regional supporters. God is using ordinary people and the simple tool of Alpha to help people find new life and meaning in Christ. By partnering together, we can share the Good News in Nebraska through Alpha! The mission of Alpha Nebraska is to serve and support the church in our region in continuing to see thousands more people come to faith and maturity in Christ. By helping to mobilize the church body for evangelistic mission and discipleship, we work to develop leaders and strengthen community in the churches we serve. All our efforts spring from our desire to serve Christ and the local church. Join us at our next Run Alpha event. Gather with other churches across the network to learn and practice some of the unique elements of Alpha. When finished, you will have everything you need to run Alpha. Jodi is the Network Director of the Alpha Nebraska Region, which was launched in 2016. She has an educational specialist's degree, and was employed as an elementary school psychologist before spending 9 years as a full-time mom. She has served in her Catholic parish as the Alpha course administrator for 3 years, and has also had the privilege of facilitating Alpha in prison settings. 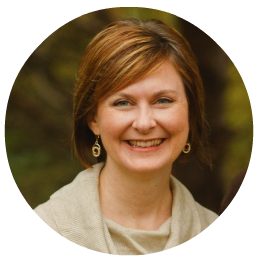 She is passionate about helping churches create a culture of invitation so that they can effectively share the Good News. Alpha is funded by the generosity of donors who make it possible for us to provide Alpha resources completely free to churches and guests. If you’d like to support the work of Alpha and its work in Nebraska please click the button below. Your generosity directly supports our mission to equip and serve the church in its mission to help people to discover and develop a relationship with Jesus through Alpha.